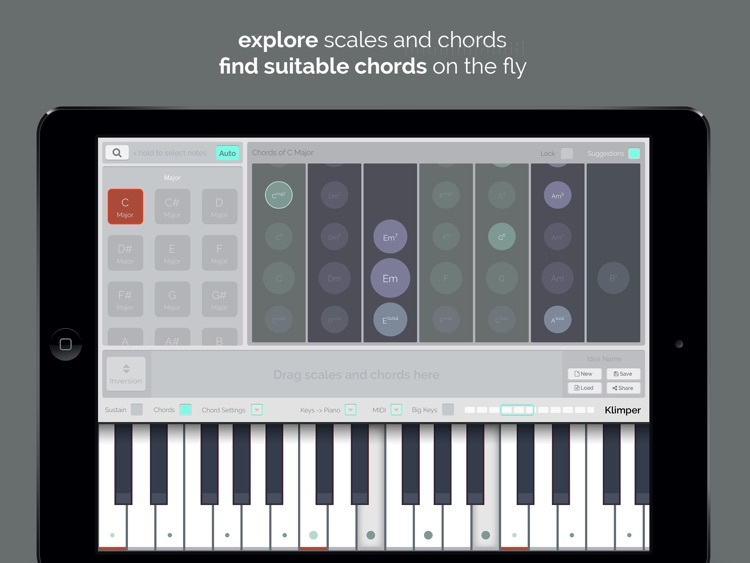 # Discover suitable and related Chords "on the fly"
When playing melodies, kord highlights suitable chords based on the interval that sounded last, so you can instantly discover various possible harmonizations and progressions. When playing chords or intervals, kord highlights related chords. 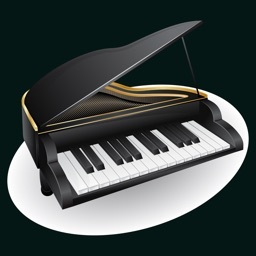 You can intuitively control the desired degree of relationship simply by varying the played subsets of the original chord's intervals. 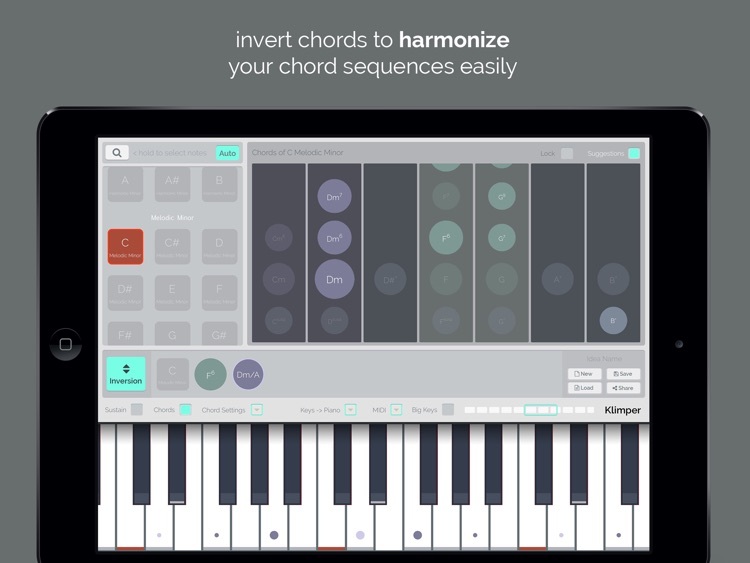 This also enables you to explicitly specify the notes that you want to focus on when searching for the next chord for your progression. 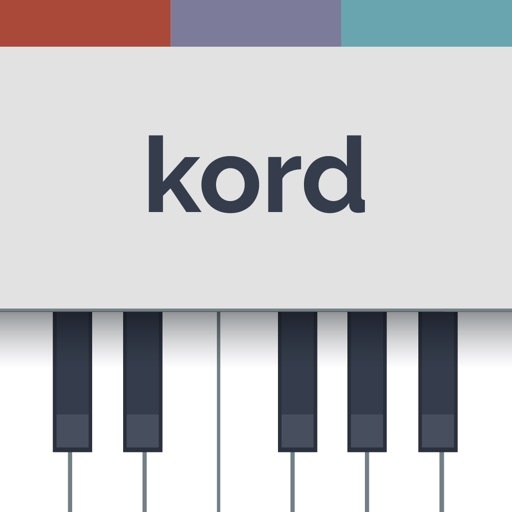 kord shows chords that are available in a selected scale sorted by complexity. 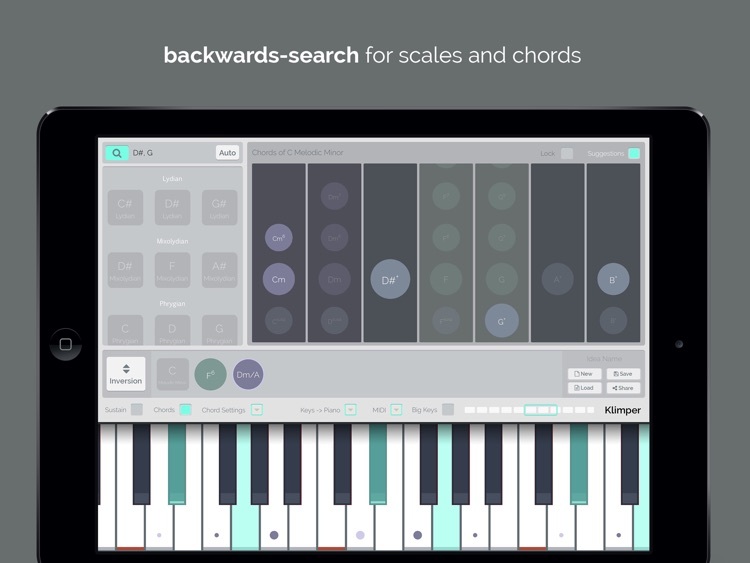 Scales and chords are shown as markings on the keyboard, enabling you to improvise fluently even on complex chords and scales you don't have internalized yet. 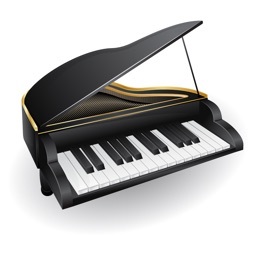 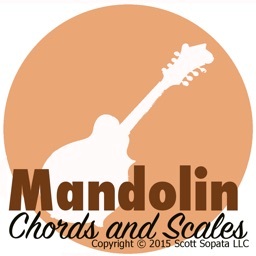 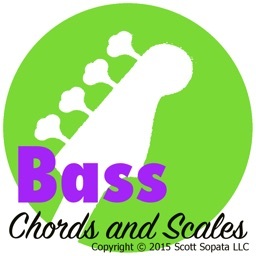 Find scales by selecting a set of notes directly on the keyboard. 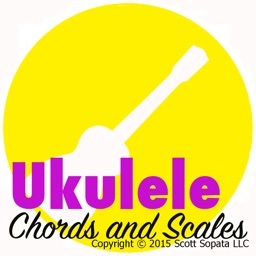 This is great when you're looking for a modulation that sustains your melodic leitmotif! 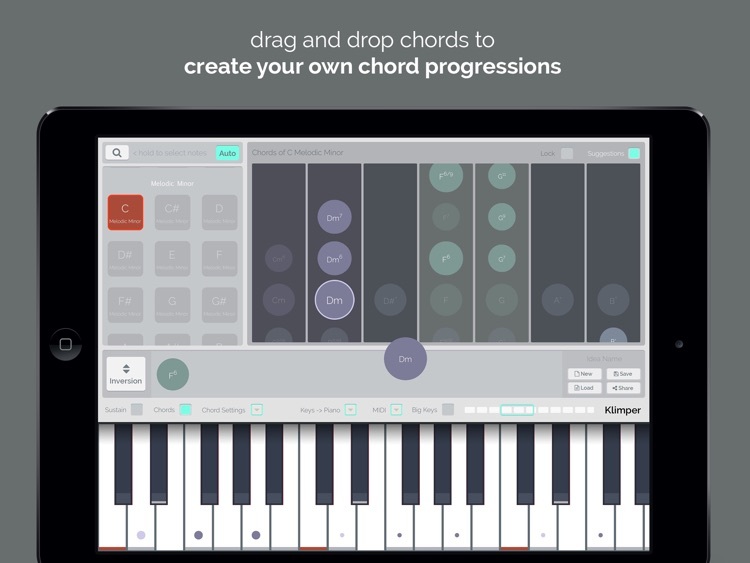 While exploring and improvising, just drag and drop chords you like to create chord progressions. 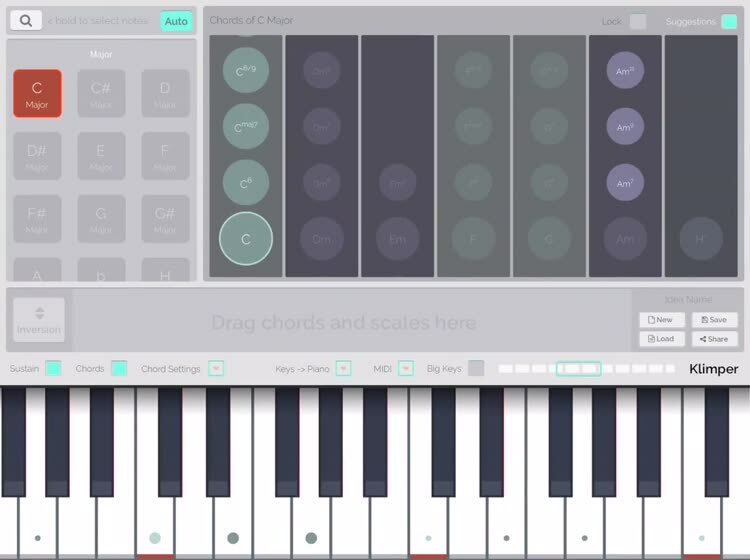 MIDI-Out is available as an In-App-Purchase.